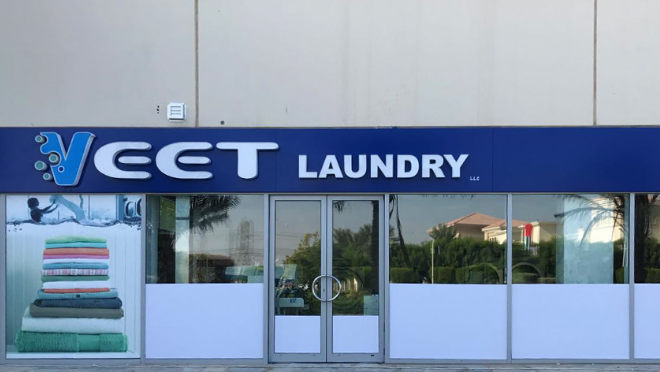 At Veet Laundry, we exercise utmost care in cleaning and processing your items that you have entrusted to us and use methods that are best suited to the nature and conditions of each individual item. Our Services -: Cleaning & Ironing, Dry Cleaning & Ironing, Ironing. We strive to provide a rewarding and pleasant experience for our customer. Regardless of your cleaning or laundry needs, we will provide you with service and satisfaction. We understand that your appearance, your fine clothing, footwear, bedding, and household linens are important to you, and we offer the best, most all-inclusive care for these items in Dubai. We also know your time is important, therefore we offer both door-to-door delivery service; thus assuring the highest levels of convenience for today's time-challenged consumer.